Get to know St Petersburg like a local with a full-day walking tour led by a resident guide. Learn about the city's landmark sights and hidden gems little known to tourists as you explore its streets. 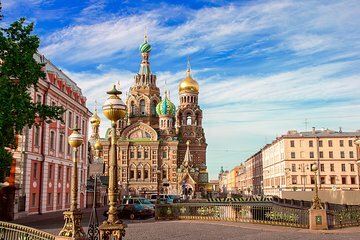 Stroll along Nevsky Prospect―the city's main thoroughfare―visit its squares and cathedrals and marvel at the unique architecture along the way. You'll also enjoy a ride on the metro, a system with palatial stations that are works of art within themselves, en route to Peter and Paul Fortress―the birthplace of St Petersburg. Fantastic time on the tour, very knowledgeable and helpful guide - couldn't have asked for more. Thanks very much and will use again for other places.